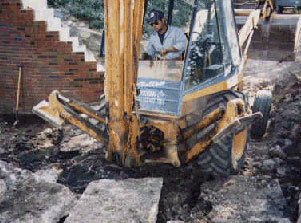 *All excavating work is a 4 hour minimum, charged port to port. Small landscaping jobs such as weed barrier, stone and mulch installation accepted. Brick paver patios and step installation. The pricing for these jobs are quoted per job, please call or visit our display yard with your job specifications. 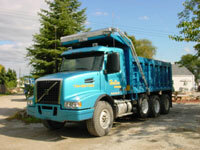 *All dump truck services are charged a 4 hour minimum port to port. In certain cases prices may be negotiated to a lower rate. (Usually for jobs lasting a week or more). Prices to change without notice, subject to availability.